Reportage resists easy definition and comes in many forms - travel essay, narrative history, autobiography - but at its finest it reveals hidden truths about people and events that have shaped the world we know. This new series, hailed as 'a wonderful idea' by Don DeLillo, both restores to print and introduces for the first time some of the greatest works of the genre. 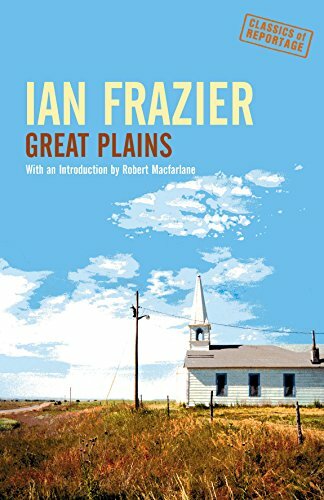 "Great Plains" is a journey through the vast and myth-inspiring empty plains - from tumbleweed and American Indian tepees to the house where Bonnie and Clyde did their dirty work to the scene of the murders in Capote's "In Cold Blood". Ian Frazier is the author of Gone to New York (also available from Granta Books), among other books. A frequent contributor to The New Yorker, he lives in Montclair, New Jersey.